It was easy enough to make an array of disks in this fashion using Inkscape. I then copied the array five times, gave each of the six copies its own color, and made them all translucent, so that the overlapping areas could be readily distinguished. The point of this exercise is this: if I could find a way to arrange the six arrays of circles so that they completely covered a region of the plane, I would be able to demonstrate the existence of a coloring that uses only six colors. In other words, I would have decreased the upper bound of the chromatic number of the plane by one, which would have been a significant mathematical result. Note that the circles could and would overlap; any areas of overlap would consist of points that could belong to either color in a valid coloring. As you can see, I failed. The illustration above was about the best I could do. The white gaps represent areas that could not be colored with any of the six colors. Failing here really proves nothing. Even if I could prove that no coloring using disk arrays like these could work, it wouldn’t prove that there wasn’t some other way to partition the plane that would work better. 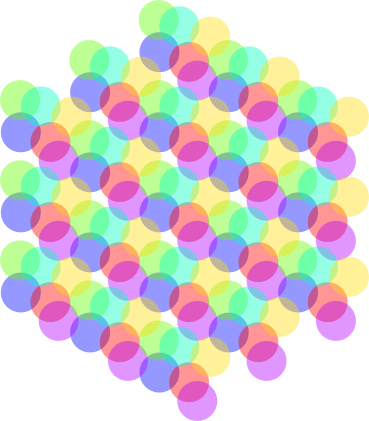 In fact, Ed Pegg found a configuration where the amount of space needed by the seventh color is very tiny indeed, which gives some hope that 6 colors is possible. If I could prove that this array of circles really represented the greatest possible proportion of the plane that could be taken up by a single color, (which I can’t) I would in fact be able to improve the lower bound of the CNP. If I didn’t make a mistake, the proportion of the plane taken up by the array of circles works out to π/(8·sqrt(3)), or about .227. Since this is less than ¼, that would mean that the total area that could be taken by 4 colors could not cover the whole plane. Part of the problem here is that even if one could show that the array of circles had the highest proportion of the plane of any “nice” arrangement, it might turn out that an actual coloring of the plane with the fewest colors would end up taking the form of interpenetrating fractal foams, where no individual piece has a measurable area. 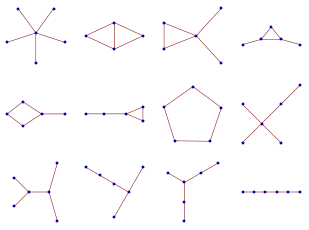 In graph theory, a graph is a set of vertices along with a set of edges that each connect exactly two different vertices. As a polyformist, it seems natural for me to ask, can we make interesting sets of polyforms out of them? We usually require polyforms to be connected, and we usually look at sets of all polyforms of size n, for some positive integer n. One obvious possibility would be to use sets of all connected graphs of n vertices. But these quickly grow to unwieldy numbers; additionally, they suffer from the problem that once n hits 5, some graphs are non-planar, or impossible to represent in a plane without crossings. This would restrict any search for elegant figures to use in tiling problems with them. 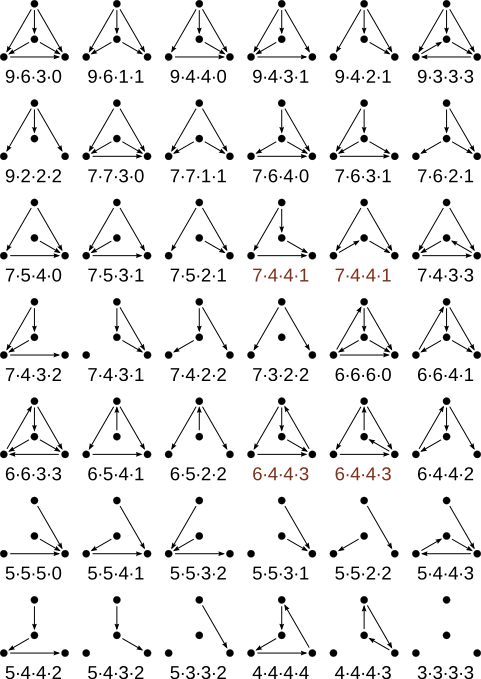 Alternatively, we could look at sets of connected graphs with n edges, which I will call polyedges. 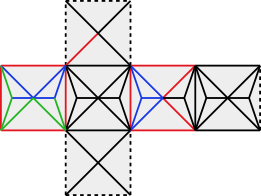 There are no non-planar n-edges until size 9. There are 12 pentaedges, the same as the number of pentominoes, and I hope to show that this is a versitile and interesting set of polyforms. In making tiling problems for polyedges, we treat them like polysticks, allowing polyedges to meet at a vertex but not allowing edges to overlap between forms. Now, one important problem remains: what graphs should we use as patterns for them to tile? 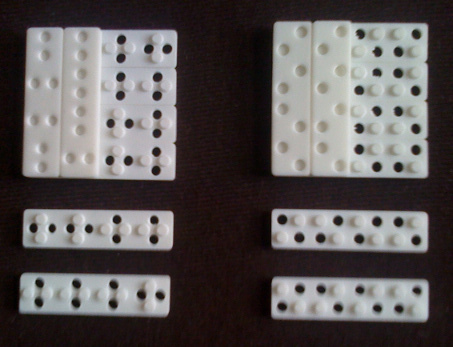 We are unconstrained by geometrical considerations, which in the case of polyominoes, for example, pull us toward making rectangles. But we can still use symmetry. Not only are highly symmetrical graphs particularly elegant, but symmetry can narrow the space of solutions; since polyedges are very flexible, this is probably desirable. It will help that the total number of edges in the set is 60, a number with many factors, which should help in our search for symmetrical patterns. This pattern has a truly dizzying amount of symmetry. Every permutation of the vertices in a complete graph maps the graph to itself. There are 6! = 720 such mappings (or automorphisms) for each K6. Since we can permute all four copies independently, on top of which we can arbitrarily reorder the copies themselves, the full pattern has 7204 · 4! = 6,449,725,440,000 automorphisms. On the other hand, it’s non-planar, and we might want to tile some planar patterns. One highly symmetrical planar pattern with 60 edges is a pair of icosahedra. I show them squished onto a plane for clarity below, but as graphs they’re still equivalent to the 20-sided dice that role-playing gamers use. Notice that I used 6 colors to distinguish the pentaedges in the figure above. 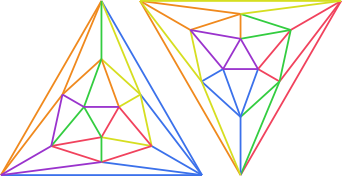 In fact, I had to, since each of the pentaedges touches each of the others within each icosahedron. We could instead try to minimize the number of colors required. Problem #23: Tile a set of 4 pentagonal dipyramids with the 12 pentaedges. Notice the trick I played with the pentagonal (or 5-cycle) pentaedge at the bottom of the figure, putting the 5-star pentaedge inside it. 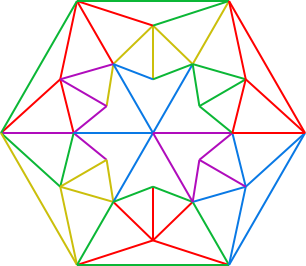 In the previous problem, we couldn’t tile the icosahedra without any crossings, because one pentaedge contains a 4-cycle, which can only be placed on an icosahedron with an edge connecting two opposite corners, and the pentaedge containing this edge must cross the 4-cycle. 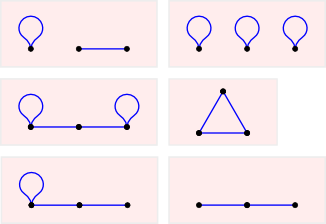 Can we find a pattern where the pentaedges containing 4- and 5-cycles can both enclose one or more other pentaedges, so that the pattern contains only triangular faces and can still be tiled without crossings? Here’s a candidate that can be inscribed on a cube; in this case it seems clearer to show the cube in an unfolded state than to squish it as we did with the icosahedra. To make it a bit easier to communicate solutions or new problems you find, I’m providing source svgs (made in Inkscape) for some of the images above. They contain copies of the relevant patterns in plain black, which can be turned into a solution by recoloring the edges. This post expands on material at my non-blog. Theoretically, I’m using this blog to write more exploratory material in the service of the non-blog, where I intend to collect it in a more digested form. However, lately I’ve been more poaching the non-blog for material to use here, and I haven’t gotten around to updating the non-blog as I mean to. Nevertheless, if you like what you’ve been seeing here, you should check it out, as it contains most of my polyform discoveries from the ’00s.